Head to this small Chinese cafe, on the border of Chinatown in Soho, to grab freshly made Chinese street food. Chinese Tapas House is a perfect snack stop during a day out in London, with a counter top for you to perch yourself and order, or take your snack with you on the go. 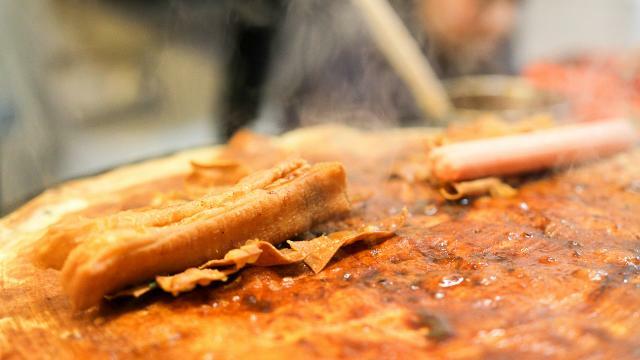 Choose a savoury Chinese crepe, or perhaps a hot pork steamed bun, for the ideal no-cutlery-needed lunch, and wash it down with one of several bubble teas, such as matcha green tea flavour. There are also plenty of the more unusual Chinese classics here including tripe and bean curd if you are looking to try something authentic! Is Chinese Tapas House your business?